Can You Visit the Dentist While Pregnant? 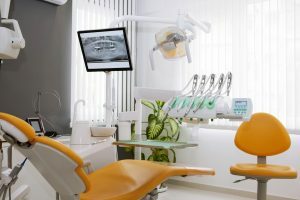 As a result of the excitement and anticipation when preparing for a new baby, families and new parents tend to forget about their dental health. For a short period of time, their focus is exclusively on the moment such as decorating a nursery or making special arrangements for the big day. Although those are all important moments, remember to take extra time to take care of yourself also, especially your teeth. It is important to be thoroughly informed of all the possible changes in your body as well as your teeth while pregnant so there’s nothing that could potentially harm the baby. Your gums become swollen, red and tender, many times even bleed – Although this is something that’s uncomfortable especially while expecting, the good news is that with professional cleanings, along with careful attention to your regular brushing and flossing, can help keep pregnancy gingivitis under control. Aside From “Pregnancy Gingivitis” What Else is Expected? Along with the discomforts of pregnancy gingivitis, becoming pregnant also introduces your body to morning sickness. Which can affect your teeth as well, due to the vomiting and exposing your teeth to stomach acid. Stomach acid tends to dissolve tooth enamel – once your tooth enamel is damaged it is difficult in fact almost impossible to get it back. You can’t fully control morning sickness and this isn’t something to stress about. After experiencing morning sickness, and once you’re feeling well enough to rinse your mouth with water and baking soda, do so. By rinsing your mouth with a water and baking soda solution, you will help neutralize the acid before you can brush your teeth. By doing this routine not only will you be protecting your teeth but this will help you feel better. Can Bad Oral Health Impact the Baby? You may be surprised how much impact your oral health has on your overall health. Which means that any issues that may arise with your oral health, your baby might be affected. Some studies have lined gum disease to pre-term and low birth weight babies. Is it Safe To Visit A Dentist While Pregnant? Yes of course, with all the hormonal changes happening when pregnant, remember that it could potentially affect your oral health. As mentioned above your gums are more likely to bleed and there is a greater chance for inflammation and infection. So try to make a regular and thorough teeth cleaning part of your daily routine. For more information regarding your visits to the dentist while pregnant, contact us today!